We at Eco Technical have positioned ourselves at the forefront of renewable technologies such as Heat Pumps in the East Anglia area. We are able to provide you the customer an unparalleled service in the design, supply and installation of a fully operational heat pump installation. If your present fuel is oil, gas or electric depending on the type of system you have and the insulation properties of your home you could expect savings of 40% to 50% compared to traditional oil, LPG and electric systems. There are also government incentives available for renewable heat sources which can be accessed online. 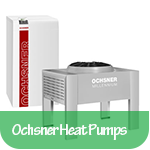 although heat pumps are more expensive to install than conventional heating,the reduced running costs with the low servicing requirements and government incentives plus the increase in fuel costs in the future make the new technologies a worthwhile investment. 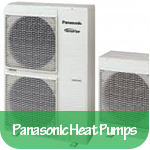 We work in partnership with the main heat pump manufacturers such as Kensa, Ochsner & Panasonic who will assist from the design phase right through to the completion of the project. They will also be involved in the commissioning of the system providing a superb backup service giving you the customer peace of mind. 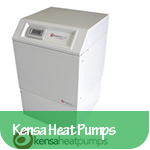 Please see the Kensa cost savings calculator to check how much you can save on your fuel bills with a heat pump installation. We have a specialist team of heat pump installers and we are able to provide you with the best option possible to start helping you to save money on your fuel bills. There are also a lot of government incentives available to help reduce the cost that you pay! Please feel free to contact us on 01733 530 081 and we are able to provide you with a FREE QUOTATION for your new heat pump installation. We cover all areas in East Anglia and beyond and can install any make and model of heat pump that you require. All Labour carried out is covered by a 2 year guarantee plus a manufacturers warranty that varies from company to company. We work with all the major manufacturers, who also provide a fantastic back up service from design right through to the installation and commissioning of the project. We also carry out RPZ valve testing and servicing – please call us for more information. 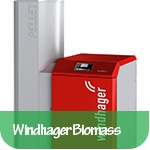 For any general central heating enquiries, Biomass Installation,or about Ochsner Heat Pumps please visit our other sites.